A Supreme Court Bench comprising Chief Justice P Sathasivam, Justice Ranjan Gogoi and Justice N.V. Ramana, while hearing Writ Petition (Civil) No. 295 of 2012 in S. Rajaseekaran vs. Union of India &Ors., has ruled that the existing laws and norms including the provisions of the Motor Vehicles Act, as in force, are required to be implemented in the right earnest and with all vigor by the authorities of the Union and the State Governments who are responsible for such implementation. The Apex Court Bench stated that as far as suitable amendments to the laws were concerned, it can only hope and trust that all such changes or amendments which were currently under legislative consideration would be rushed and the legislature in its combined understanding will bring in the statute book, in due course measures as may be considered essential. The Court by the present order, stated that what had been admitted to be required and, therefore, had been commenced by the Central Government in so far as engineering and road education was concerned shall be implemented. Also, in case of emergency care, what had been initiated by the Central Government, as stated in its affidavit, shall be appropriately implemented. The Bench stated that the States should also act accordingly and start similar measures if required, in a phased manner. The Petitioner is a leading orthopedic surgeon of the country and the Chairman and Head of the Department of Orthopedic Surgery in the Ganga Hospital at Coimbatore. He was/is also the President of the Indian Orthopedic Association, the largest professional body of orthopedic surgeons in the country. While rendering professional service to victims of road accidents, his realization that large number of accidents that occur every day on the Indian roads, which not only causes loss of human lives but loss of limbs and other injuries resulting in human tragedies, something which cannot be avoided, led him to file a writ petition under Article 32 of the Constitution. The Petitioner, in the light of the experience gained and impelled by a desire to render service beyond the call of duty, filed a writ petition seeking the Supreme Court’s involvement, mainly, in the matter of enforcement of the prevailing laws. He also sought directions for enactment of what he considered to be more appropriate legislative measures and for more positive administrative action. The Petitioner in order to curtail loss of life and physical injuries to victims of road accidents wanted the Apex Court to give directions for upliftment of the existing infrastructure and facilities with regard to post-accident care and management. Therefore, he sought for the constitution of a monitoring agency to guarantee that the State Governments notify the said suggestions within a time frame. The Bench said in order to ensure that the process undertaken succeeds, it would constantly supervise the measures undertaken by the Central Government and the State Governments. It said it would measure and monitor the extent of affirmative action on part of the Union and the States from time to time. Considering the lack of time available with it, the Apex Court deemed it proper to constitute a Committee to commence the process of monitoring on its behalf. The Court has thus constituted a committee nominating sitting judge, justice K S Radhakrishnan as its Chairman with effect from his date of retirement . The Bench directed the Ministry of Road Transport and Highways, Government of India to immediately notify the composition of the Committee, which will have its office in the national capital and the Central Government would provide necessary infrastructure including manpower. It also clarified about the remuneration and perquisites of the Chairman of the Committee and its members, which would be fixed by the Union Government in consultation with the individual concerned and in accordance with prevailing norms. The Bench directed all State Governments as well as different Ministries/Departments/Wings of the Central Government who are currently looking after the multi-dimensional issues relating to road safety to submit their first report to the Committee within three months from the date of the order indicating the state of implementation and enforcement of all laws relating to (i) licensing; (ii) certification of fitness of vehicles; (iii) limits of use of vehicles i.e. passenger carrying capacity, weight carrying capacity etc. ; (iv) use of road safety devices; (v) obedience to norms including user of roads, and (vi) implementation of adequate manpower for enforcement of the existing provisions of law.It asked the Union Government as well as the State Government to specify their views on the necessity of further change in the law, if any and directed the Union Government as well as the Government of the States to offer their views on the suggestions/recommendations of the different bodies/persons noticed and mentioned in the present order which were presently not under implementation. 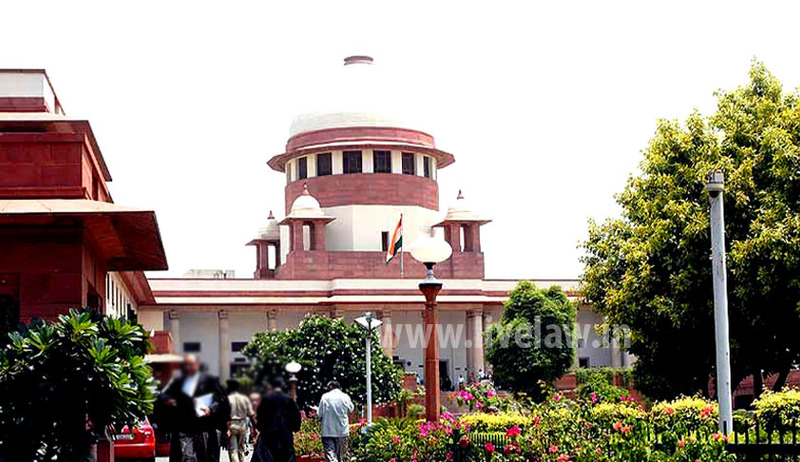 The Apex Court Bench has directed the Committee to commence a detailed inspection and examination of the Report(s) that may be submitted and the views of the Central and State Governments with regard to necessity of further legislation or changes in the existing laws and directed it to submit its report within three months after receipt of report from the Union and the State Governments. After making the directions, the Apex Court Bench posted the matter for further consideration on the expiry of six months from the date of the order passed.